On 23 October 1947 frontiers tribesmen entered Kashmir to help Kashmiris brothers and on 26 October 1947 Maharaja acceded to India. Pakistan responded militarily against the Indian aggression when Indian army started advancing towards Azad Kashmir and thus India and Pakistani fought their first war over Kashmir. On 1 January 1948, India when came under pressure referred the dispute to United Nations and a cease fire was agreed. The United Nations resolution of 13th August 1948 emphasised an end to fighting, immediate cease fire followed by negotiation based on six principles. It was reaffirmed that the future of state of Jammu and Kashmir shall be determined in accordance with will of the people. In this resolution there is no mention of the Gilgit region. Despite Nehru’s request no changes were made therefore no definition of geographic limits of Jammu and Kashmir made. According to Security Council resolution number 47 which was devoted to a definition of terms and conditions under which the plebiscite administration would be permitted by Government of India. In this resolution there was no clear geographical definition of state of Jammu and Kashmir and there was no mention of Gilgit region for plebiscite. NWFP to Government of Pakistan and a separate ministry of Kashmir Affairs was created. The question is if Gilgit Baltistan was part of Kashmir why according to Karachi agreement the administration was handed over to Pakistan by Sardar Ibrahim and Choudhry Ghulam Abbas who did not oppose it. The United Nations resolution of number 80 of 14 March 1950 both ‘Azad Kashmir’ and ‘Northern Areas’ (Gilgit and the former political districts plus Baltistan) were included within the terms state of Jammu and Kashmir as areas which will be demilitarised prior to holding of a plebiscite. According to Alistair Lamb the General McNaughton proposal of late 49 and confirmed by United Nation Security Council resolution number 80 of 14 March 1950, the Northern Areas had been thrown into melting pot of Kashmir dispute. 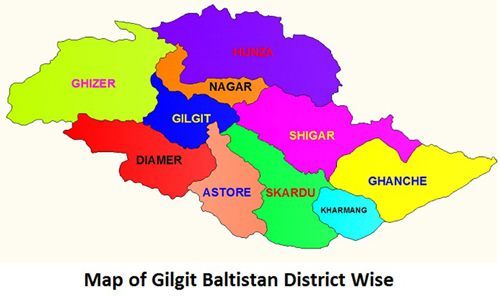 The Gilgit Baltistan Legislative Assembly passed a unanimous resolution to become the 5th province of Pakistan. On this there was lot of hue and cry in Azad Kashmir assembly. The fear of Kashmiri leadership is that Gilgit-Baltistan is part of Kashmir and cannot accede to Pakistan separately and accession would be taken as acquiescence in the permanent partition of Kashmir and will harm the freedom struggle. The Azad Kashmir government warned the integration of Gilgit Baltistan into Pakistan would be disastrous and also give an excuse to India to integrate Indian Occupied Kashmir with India. The constitutional committee formed by previous government suggested granting of a special/provisional province status with representation in National Assembly and Senate. 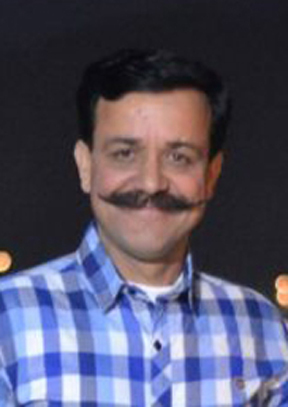 The same could not be approved due to objection on the part of Kashmiri leadership. There are different views on Kashmir dispute in Gilgit-Baltistan. Majority view that their forefathers liberated the region from Dogra rule and joined Pakistan unconditionally. They also claim that we have distinct culture, language and traditions which separate us from rest of Kashmir. The people of Gilgit Baltistan never accepted the illegal rule of Dogras. The Dogra invasion and occupation cannot be a raison d etre for Gilgit-Baltistan to be part of Jammu and Kashmir. 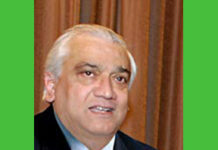 The foreign office linked Gilgit-Baltistan with Kashmir dispute to win the support of people in case of plebiscite on Kashmir. The Supreme Court of Pakistan in a decision on 17 January 2019 on status of Gilgit-Baltistan reconfirmed its earlier decision given in case of Al-Jahad Trust that people of Gilgit-Baltistan are citizen of Pakistan. The apex court clarified that its orders will not affect the status of Kashmir until plebiscite. The court also directed that Gilgit-Baltistan courts cannot hear orders made or legislation passed by the President and Parliament of Pakistan. People of Gilgit-Baltistan are true patriots who wants their identity with Pakistan and this is the popular demand in the region. In order not to give an opportunity to the so called sub-nationalist in the region the government has to find a way that will give them full rights within the federation of Pakistan yet in accordance with Pakistan’s commitment made under United Nations Security Council resolutions on Kashmir. In 1949 through Karachi agreement the administration of Gilgit Agency was transferred from NWFP to Government of Pakistan and a separate ministry of Kashmir Affairs was created. The question is if Gilgit Baltistan was part of Kashmir why according to Karachi agreement the administration was handed over to Pakistan by Sardar Ibrahim and Choudhry Ghulam Abbas who did not oppose it. The United Nations resolution of number 80 of 14 March 1950 both ‘Azad Kashmir’ and ‘Northern Areas’ (Gilgit and the former political districts plus Baltistan) were included within the terms state of Jammu and Kashmir as areas which will be demilitarised prior to holding of a plebiscite. According to Alistair Lamb the General McNaughton proposal of late 49 and confirmed by United Nation Security Council resolution number 80 of 14 March 1950, the Northern Areas had been thrown into melting pot of Kashmir dispute. The Gilgit Baltistan Legislative Assembly passed a unanimous resolution to become the 5th province of Pakistan. On this there was lot of hue and cry in Azad Kashmir assembly. The fear of Kashmiri leadership is that Gilgit-Baltistan is part of Kashmir and cannot accede to Pakistan separately and accession would be taken as acquiescence in the permanent partition of Kashmir and will harm the freedom struggle. The Azad Kashmir government warned the integration of Gilgit Baltistan into Pakistan would be disastrous and also give an excuse to India to integrate Indian Occupied Kashmir with India. The constitutional committee formed by previous government suggested granting of a special/provisional province status with representation in National Assembly and Senate. The same could not be approved due to objection on the part of Kashmiri leadership. There are different views on Kashmir dispute in Gilgit-Baltistan. Majority view that their forefathers liberated the region from Dogra rule and joined Pakistan unconditionally. They also claim that we have distinct culture, language and traditions which separates us from rest of Kashmir.